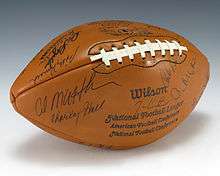 The 1975 Green Bay Packers season was their 56th season in the National Football League. The club posted a 4–10 record under new coach Bart Starr, earning them a fourth-place finish in the NFC Central division. The Packers got off to an 0-4 start, but finally beat the Cowboys in Dallas for Bart Starr's first coaching win. After a 1-8 start, the Packers would end the season on a positive note winning three of their final five games to finish with a 4-10 record.